The team at Chino Hills Animal Hospital is dedicated to your pet’s health and happiness. It is also our profession goal is to help caring breeders make the next generation their best so far. 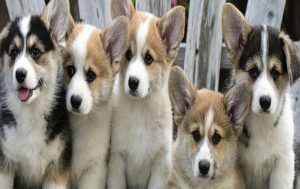 To that end the Chino Hills location is in the process of providing state of the art veterinary reproduction services. From health testing to c sections, to keeping your senior dogs going strong, we are here to help you. Please bear with us while we continue to meet this goal. 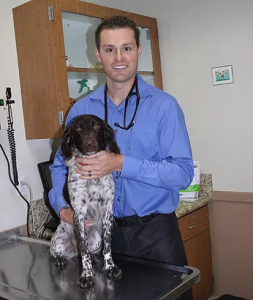 With a strong background in reproduction medicine, Dr. Grant Dunbar leads the team at Chino Hills Animal Hospital. He has experience in all aspects of Breeder medicine and is an accomplished surgeon. 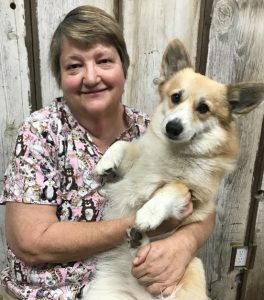 With over thirty years experience in dog breeding and veterinary reproduction, Dr. Beckie coordinates the team to provide state of the art reproduction services.